The state of Texas offers a wide variety of accounting school options for the aspiring accountant. Including what many consider as the single best accounting school in the nation in The University of Texas – Austin. If you’re looking to have a career in accounting, you should know that it’s a very difficult field to enter. Not only is there a lot of competition, the requirements for earning your CPA are very lengthy and exhausting. A good accounting program will challenge you to understand the most complex concepts of accounting, and the program is only as good as the professors who teach it. You should research the professors of the programs you are considering and see how their classes are rated. You can check online or you can always try to get into contact with someone who has experienced that program firsthand. Also, it doesn’t hurt to actually go visit the school and see for yourself what it’s like there. You can contact a faculty member of the program and become better acquainted with what exactly their educational approach is like. Becoming an accountant is not an easy road to take! Each state is different in terms of what they require for getting an accounting license. 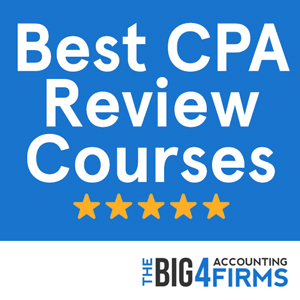 Accounting is a program with high grading standards, so only the best make the cut. 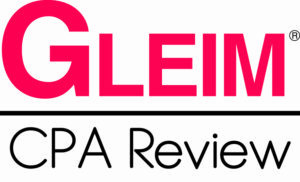 After you obtain the appropriate education, you must then qualify for the CPA exam. This exam is known for it’s near impossible standards. Many people do not pass this exam. If you are successful, you must then take an ethics exam. You would hope that once this exam is finished that you could obtain your license, but you also need experience under your belt. Only after you meet each and every requirement for licensure, (and probably when you’re about ready to give up) will you become a certified public accountant! The state of Texas requires that you firstly be of good moral character. If you have a criminal background or spotty records, you may have difficulty in obtaining your license. You must have a baccalaureate or higher degree from a board-recognized school. You must complete 150 semester credits with 30 being accounting courses. 15 of those credits must be face-to-face courses. Two semester credits of accounting or tax research and analysis are also required. You must have also completed 24 credits of business courses, of which 2 credit of accounting or business communications are needed. and others as long as you completed the required 150 credits and hold a graduate degree. Most people want to know what their earning potential is once they have all of the proper requirements. As of 2012, you can expect to make on average $75,000 per year. That number does not necessarily reflect what you will definitely make, but it is a ballpark range. Chances are when you begin your career, you will be making less than that, but if you team up with the proper company or even create your own business, you may have a higher salary. Given that Texas offers such good accounting programs, CPAs are sought after and could potentially do very well financially. The University of Texas (Austin) is not only the best accounting school in Texas, it’s also the best program in the country! Their program offers a broad spectrum, including interpretation of financial data, management uses of accounting, as well as the use of electronics (such as computers) in handling accounting matters. The McCombs School Department of Accounting houses some of the most renowned researchers and faculty. Their mission is to further excellence in accounting to expand and create knowledge through study of theoretical and practical impact and to communicate knowledge of accounting through teaching undergraduate and graduate students, training educators, and interacting with external business and policy-making community. This school offers bachelors, masters and Ph.D. level courses.The McCombs School has ranked the highest in accounting schools for several years. Given that this university has scored so high, you can be sure that they have very high standards for their students and only choose the best. Believe it or not, Texas is home to the number one ranked accounting program in the US according to Public Accounting Report 32nd Annual Professors Survey. The University of Texas at Austin ranked number one overall for the undergraduate, masters and doctoral rankings. It also ranked number one for the undergraduate, masters and doctoral programs that offer over 22 full-time accounting faculty. Texas does very well indeed when it comes to accounting programs. Texas A&M University ranked number 7 in 2013 (up from number 10 in 2012) for the undergraduate program, number 8 for the masters, and number 10 for the doctoral program, while Texas Tech University and Texas Christian University were runners up. The University of Texas has consistently scored well in ranking and is among the most respected schools to offer the accounting program. The Public Accounting Report’s 2013 survey of accounting professors ranked the accounting program at Texas A&M as the 7th, 8th and 10th best in the country in the undergraduate, Master’s and doctoral categories respectively. Ranked 37th nationwide by U.S. News, the Mays Business School at Texas A&M university is a prestigious institution where you can start your accounting career on the right foot. You can begin your accounting education at the undergraduate level by pursuing a Bachelor of Business Administration in Accounting. This program includes a core accounting curriculum as well as courses in auditing, fraud examination, ethics, international accounting and energy accounting. Students may also undertake accounting internships that count towards course credits, while prospective CPAs can take additional courses to fulfill CPA requirements. Students wishing to qualify for a CPA license can also apply for the Master of Science in Accounting offered by Mays Business School. This non-thesis program combines core and elective courses with opportunities for leadership development. Students can choose between two tracks. The Assurance Services/Information Management Track covers topics such as auditing, tax, information systems, management, business law, ethics and accounting. The Tax Consulting/Financial Planning track focuses on taxation in addition to accounting and business topics. Alternatively, accounting students can opt for the Professional Program, a five-year integrated program that combines a BBA in Accounting with a Master of Science in a business major. This program will allow you to sit for the CPA exam as well as specialize in an area such as Taxation or Auditing. If you are interested in an academic career, you can apply for a PhD in Accounting in order to conduct research in the field. Through quality education and opportunities offered by internships, student organizations and career services, Texas A&M University accounting students are well placed to start a successful career in accounting.